Mumbai: Looking to ride the economic boom, Air Deccan will aim to stimulate air travel demand in smaller cities rather than compete with big players, its founder Captain G R Gopinath said on Saturday ahead of the launch of its maiden flight under the regional air connectivity scheme. Nearly a decade after bidding adieu to scheduled air services, Air Deccan on Saturday, would start services on Mumbai- Jalgaon route. "The dream is big. We are not competing with big players. It is a different market we are getting into," Gopinath said. 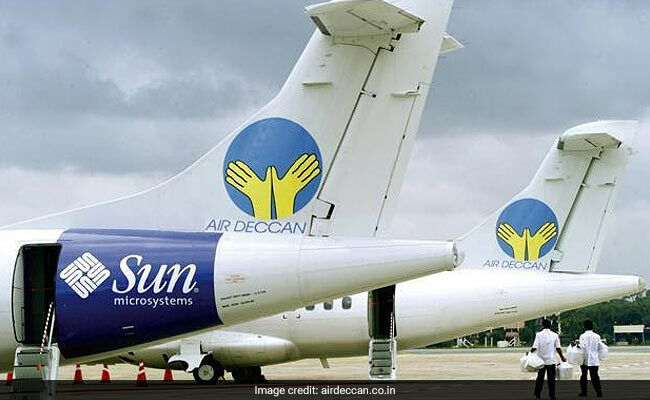 Air Deccan's flight comes under the regional connectivity scheme UDAN (Ude Desh ka Aam Naagrik) which seeks to connect unserved and under-served airports as well as make flying more affordable. "We are actually not competing against the big players. We are going to areas they were reluctant to go or at least they have no strategy for those markets. They are looking at a different market, I am looking at a different market," Gopinath said. In June 2008, when Air Deccan merged with Kingfisher Airlines, it was the largest player in the domestic space. It had services to more than 76 destinations, out of which 30 were smaller cities, with a fleet of 33 Airbus and 12 ATR planes. "Our idea was to stimulate the demand...I want to ride the economic boom...," he said, adding that it would be a big challenge the airline is ready to take on. Currently, the airline has a fleet of three 19-seater Beachcraft B-1900D aircraft. It received the scheduled commuter operator (SCO) permit on Friday. Air Deccan bagged 34 routes in the first round of bidding under UDAN. Besides Jalgaon, it would connect Nashik and Kolhapur. He said between Air Deccan and its strategic partner Air Odisha, they will have 108 daily flights from across 67 airports in the next 5-6 months, operated by a combined fleet of 12 aircraft. Gopinath is credited with pioneering low-cost flying in the country in the early 2000s with Air Deccan.